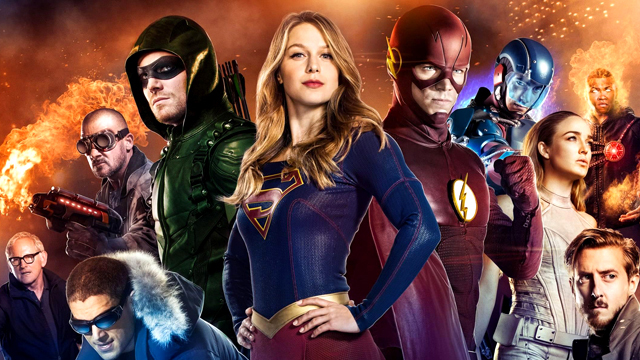 Big things are in store for The CW‘s small screen DC Comics universe. EW caught up with DC series executive producer Andrew Kreisberg, who teased a major DC crossover that is already being planned for next season! While the recent “Invasion” crossover delivered an unprecedented DC crossover between Arrow, The Flash, DC’s Legends of Tomorrow and Supergirl, the Supergirl episode ended up only featuring a connection in the final moments. The Flash and Supergirl are already set to deliver a much-anticipated musical crossover episode next month that will feature Darren Criss as the Music Meister. As for what will eventually bring all four shows together again, only time will tell. Check back for updates as they become available! Arrow stars Stephen Amell as Oliver Queen, David Ramsey as John Diggle, Willa Holland as Thea Queen, Emily Bett Rickards as Felicity Smoak and Paul Blackthorne as Detective Lance. The Flash stars Grant Gustin as Barry Allen/The Flash, Candice Patton as Iris West, Danielle Panabaker as Caitlin Snow, Carlos Valdes as Cisco Ramo, Tom Cavanagh as Dr. Harrison Wells, Jesse L. Martin as Detective Joe West and Keiynan Lonsdale as Wally West. 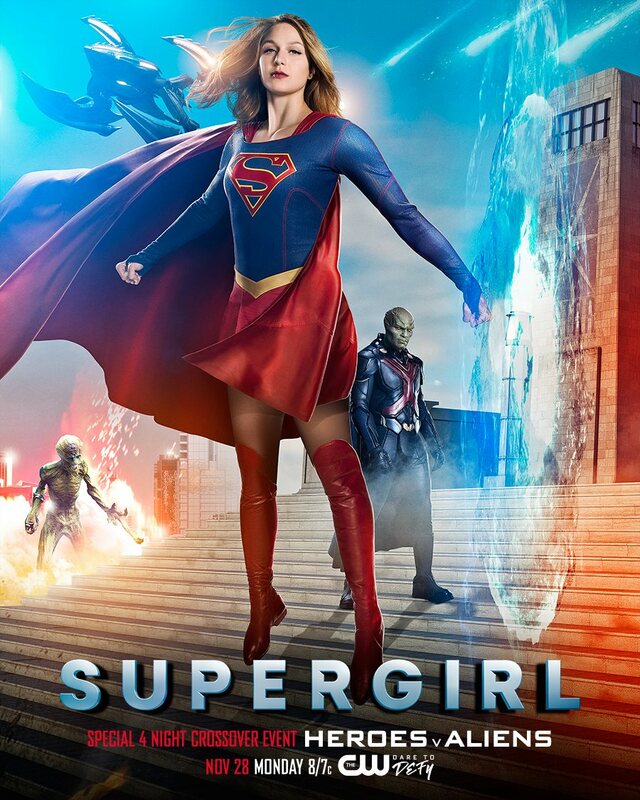 Supergirl stars Melissa Benoist in the title role, David Harewood as J’onn J’onzz, Mehcad Brooks as James Olsen, as Mon-El Chyler Leigh as Alexandra “Alex” Danvers, Jeremy Jordan as Winslow “Winn” Schott, Katie McGrath as Lena Luthor and Chris Wood as Mon-El. What would you like to see happen in an expanded DC crossover? Let us know your thoughts in the comments below!